Metric choppers are Japanese cruiser motorcycles, also known by other names, such as metric cruisers, and metric customs. These bikes look like the popular cruiser motorcycles, which are present on the streets, but they are based on Kawasaki Vulcan, Yamaha V-Star, and similar models, instead of S&S, or Harley Davidson. Metric choppers are the copies of motorcycles such as Harley Davidson, for example. With that said, it is clear that Metrics are non-American cruisers. 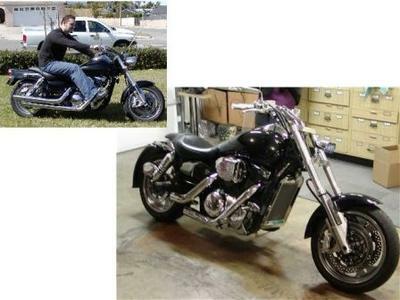 However, their quality is excellent, and their price is usually significantly lower, than the price of Harley. Many people are wondering why the term metric is used. When it comes to different American things, such as cars, or bikes, for example, on all of them, there are standard size tools, such as 1/2”, or 9/16”. On the other hand, when it comes to Japanese machines, metric choppers, tool size will be in metric units, and those are, 12, 13, 14, etc. There are some differences between American made models, and the Japanese machines, but deciding which ones are better would be extremely difficult, because all these bikes have one thing in common – they are all high-quality machines, with superb performance, and often, it is just a matter of taste. On the other hand, as already mentioned, metric bikes are usually more affordable option, and those who do not have the budget to purchase Harley Davidson, will choose one of the available Japanese machines. If you are planning to buy a motorcycle, and you are not sure which one to choose, there are several things you will have to consider. The first thing is of course the price, and your budget. The price of a Harley Davidson is a lot higher, by several thousand dollars. If your budget is not that big, you should definitely choose the metric cruiser, since they are a more affordable option. If you decide to purchase a used metric bike you will spend even less. The other thing you should consider is the size. American made machines are usually much bigger ones. Relatively speaking, Japanese machines are a smaller motorcycle choice. When it comes to maintenance and reliability, both options are very similar, which means that American made models, and Japanese machines are highly reliable, and you will enjoy riding them, that’s for sure. With all that said, it is clear that metric choppers are an excellent option. These machines are reliable, not as expensive as the bikes made in the United States, they are smaller, and if you decide to get one, you won’t regret it, that’s for sure. Maybe the biggest problem when it comes to Japanese machines is to find the parts for it, especially when you want to change the style of the bike. Even if you think that finding parts is so simple and easy today, with the option of online purchase, you will soon realize it is a time consuming process, which can also be frustrating, especially when you cannot find the part you need. Maybe the reason for all these difficulties is the fact that not many sites are dedicated to metric choppers, and their building. But the good news is, the things are changing, and popularity of metric mikes is constantly increasing. With the fact customers are demanding the parts, there are more stores which are offering the parts. Finding the basic parts and things for a metric can still be quite challenging, but every motorcycle owner will give its best to find the right parts, no matter how time consuming it may be. If you are planning to get a metric motorcycle or chopper, or if you already have one, and you need parts for your favorite machine, you may want to check out the J&P Cycles (www.jpcycles.com), because they have a pretty amazing offer when it comes to metric choppers, and parts you’ll need to make your machine better, more powerful. With the parts available, you will be able to enhance the look of your motorcycle. On this website, you can find a wide range of parts, such as: add ons, chrome covers, tires, shocks, forks, brakes, carburetors, luggage, sissy bars, filters, electrical parts, grips, fender bids, foot pegs, handlebars, lighting, exhaust pipes, seats mud flaps, windshields, and more. They included other things in the offer, such as posters, books, hats, clothing and sunglasses, which means you can boost your own style along the way. When it comes to metric chopper parts, J&P Cycles are certainly your best, and safest bet, because you will be able to find exactly what you need, without too much effort, or time. Once you get what you need, you can fix your bike, make it more powerful, and you can also boost its appearance. If you want to customize your metric chopper, make sure to visit these online stores, and get the parts you need. You can also find parts on eBay or similar sites, but the offer won’t be as nearly as rich. In case you are a beginner in the metric world, but if you want to upgrade the style of your bike, you can start with something very simple. Changing the mirror. The step may sound small, but it will certainly make a huge difference, especially if you purchased a used metric motorcycle. With all things said, it is clear that metric choppers are an excellent choice for those who are true motorcycle lovers. These are high-quality machines, which are offering ultimate riding experience. For many people, metric bikes are the first choice, and they do not even consider American made machines, sometimes because of the size, sometimes because of the price. As mentioned, both options are high-quality ones. 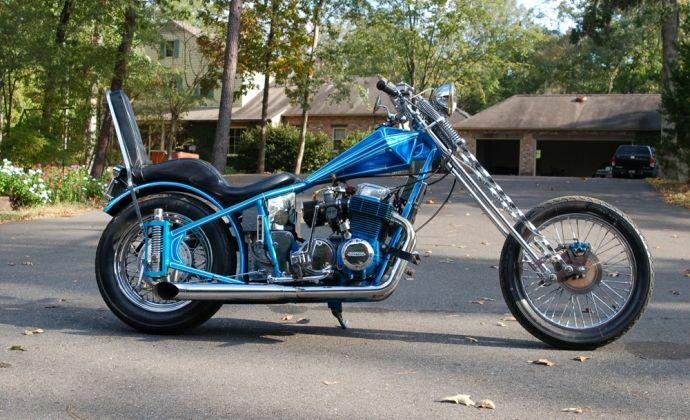 Consider all the important things when purchasing the bike, but if you decide to go with a metric chopper, you certainly won’t regret your decision, and you will see why so many people choosing Japanese machines.